is it an orange bitters? yes. weird enough to be mysterious. Crybaby's North American wholesale accounts are managed and distributed by A Priori Specialty Food. Email info@aprioridistribution.com to order in bulk. Crybaby is handmade and bottled in South Salt Lake City, Utah. 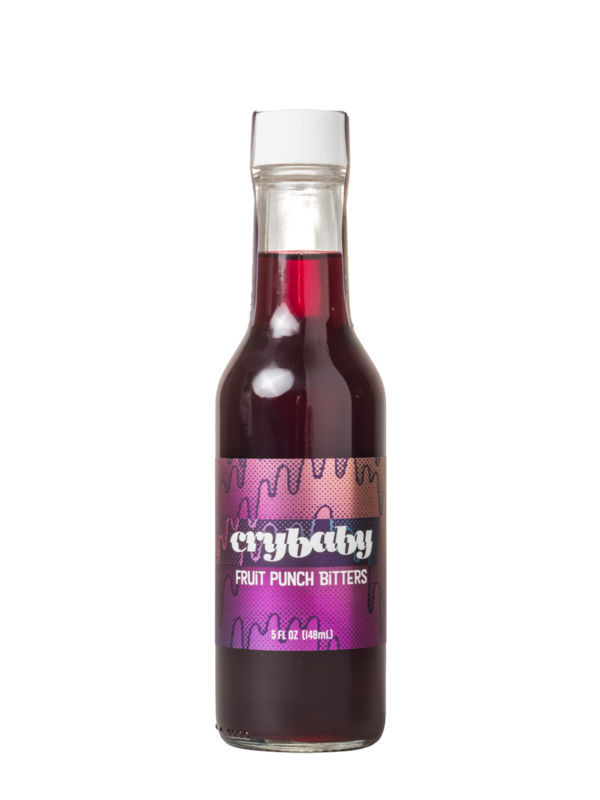 If you're a local, all Crybaby bitters can be found in all Caputo's locations in Salt Lake City or can be purchased and picked up by appointment at our headquarters in Commonwealth Studios if you email cody@crybabybitters first. Crybaby is owned and operated by Cody Kirkland. Email cody@crybabybitters.com with questions or stories or whatever. The Crybaby logo was designed by Shay Read. Evan Jed Memmott did the sick Bay Leaf Bitters and Fruit Punch Bitters label artwork and designs. Check out his insta and store. All the pretty photos on this site were made by Chad Kirkland. Well, except for the "cry baby" hand tattoo photo in the non-functional merch section. That photo is by Terry Worona.